where we cannot sample the options, but rather learn while making choices and from past choices, perceiving the outcomes, and adjusting our decisions to the consequences. 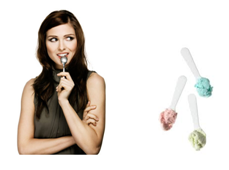 Using simple laboratory representations of these types of situations, we study how decisions are made from experience during and after repeated choices. Using IBL models, we study the cognitive processes by which these decisions are made, and we are able to make predictions regarding human decisions from experience in novel conditions of choice. 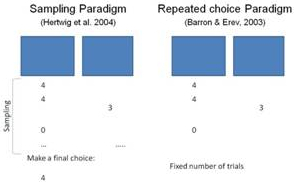 What learning processes take place during sampling and repeated consequential decisions? How do these processes change when decisions are interrelated over time? When feedbacks are delayed? When decisions are time-dependent? How do we address consequential and sampling decisions when the "environment" is dynamic? When it involves other individuals? Rather than choosing between discrete alternatives, we often make decisions aimed at keeping a system "under control." For example, diabetics make decisions to stabilize their blood sugar levels; managers make production and sales decisions to maintain an optimal inventory; and humanity struggles to stabilize the concentration of CO2 in the earth's atmosphere. In all of these examples, the main goal is to keep a stock (accumulation) at a target level or within an acceptable range by altering inflows (which increase a stock) and outflows (which decrease a stock). 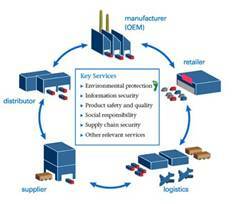 As such, a diabetic maintains optimal blood sugar levels via diet, exercise, and medication; a manager keeps inventory at an optimal level where sales are maintained and storage costs are minimized; and humanity attempts to maintain a level of CO2 by reducing emissions and assessing the levels of absorption from natural processes. Despite the ubiquity of these systems, research often demonstrates the frailty and fallibility of human performance in these tasks. Using simple laboratory representations of stock and flow systems, we study how people keep these types of dynamic systems under control. How do people make decisions in dynamic stock management tasks? How do people perceive accumulation over time? Why do people perform so poorly at control tasks? How can judgments of accumulation be improved? What are the effects of feedback complexity and feedback delays? No Current Funding Source ... But SEARCHING! Research in dynamic decision making often relies on representations of real life problems in computer simulations, decision making games, and cognitive computational models. Under this research theme, we investigate methodological issues in dynamic decision making research. How are theories represented in computational models? How can we validate and test theories/hypotheses with computational models? What is the value of using video games and simulations in behavioral decision research? How can we best present, measure, and analyze data on human learning? How do people make inferences from numbers? How do people process logic representations of data relationships? Cybersecurity has become a critical issue in our society. The assessment of the threats, vulnerabilities and successful defense in cyber space is surrounded by many challenges. Some of those challenges are technology-driven. For example, the ability to continuously monitor a network and integrate information from multiple sources: network traffic, vulnerabilities, patch status, scan results, etc. But many other challenges are human-driven, for example, the evaluation of the collected data, the assessment of risks, and the ability to make appropriate mitigation decisions. The DDMLab plays a key role in integrating models of human behavior and decision making in particular to technological solutions in cyber defense. We are in charge of the cognitive and psychosocial work developed in the Cyber Security collaborative Research Alliance of the Army Research Laboratories. We use models of decisions from experience, based on the Instance-Based Learning Theory (IBLT) (Gonzalez, Lerch & Lebiere, 2003), to help predict the influence of adversarial behaviors on a defender's ability to detect attacks. We hope that these models will bring more understanding to advance current theories of cognition and decision making and to develop new theoretical mechanisms to help address the new behavioral challenges on cyber-security. How do individuals learn to protect their own goods when faced with an opponent motivated to maximize profit at the cost of others? How can we best distribute defense resources in the presence of a dynamic, stealthy attacker? How do individuals assess risk in cyber security and how do cognitive and psychosocial factors influence these assessments? How do we integrate models of human behavior to best deceive an attacker? Network science focuses on the interactions between decision makers and their emergent social phenomena. By bringing together cognitive architectures, network science, and decision support technology, our project will advance scientific knowledge about group dynamics, decision support technology, and their links to individual and group cognition. The DDMLab plays a key role in the development of models that scale up from individual cognition of network science models. We are part of a Collaborative Technology Alliance for Network Science, in which we aim to develop formal cognitive models that combine the interactions of individual dynamic decision-making processes with the emergent dynamics of network structure. What is the impact of an initial network structure on the dynamics of network behavior? How would the network structure evolve while pursuing a mission? 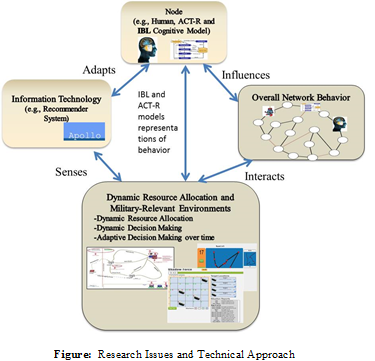 Could cognitive models be used as synthetic teammates and act as decision support for the network mission? (2016-2017) Center for Statistics and Applications in Forensic Evidence (CSAFE). Detecting Targets from Visual Cues. In collaboration with The Statistics and Data Science Department CSAFE group, at Carnegie Mellon University. (2009-2014) Army Research Office- Multi University Research Initiative. 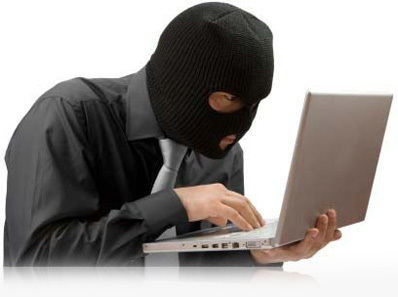 Human detection of cyber-attack. In collaboration with Peng Liu, Penn State University; Arizona State, George Mason, and North Carolina State University. (2009-2014) Defense Threat Reduction Agency. Development of cooperation and conflict in social interactions. In collaboration with Christian Lebiere, at Carnegie Mellon University. (2009-2011) National Institute of Occupational Safety and Health. Training Dynamic Decision Making in Mine Emergency Situations. (2006-2009) National Science Foundation. Hypothesis Generation & Feedback in Dynamic Decision Making. In collaboration with Rickey Thomas, Assistant Professor of Cognitive Psychology at the University of Oklahoma & Robert Hamm, Professor of Family and Preventive Medicine and Director of Clinical Decision Making Program at the University of Oklahoma Health Sciences Center. (2005-2009) Army Research Office. Training Decision Making Skills. In collaboration with Alice Healy, Professor of Psychology at the University of Colorado at Boulder; Lyle Bourne, Professor of Psychology Emeritus and Faculty Fellow of Institute of Cognitive Science at the University of Colorado at Boulder; & Robert Proctor, Professor of Psychology at Purdue University. (2002-2009) Army Research Laboratory. Cognitive Process Modeling and Measurement in Dynamic Decision Making. In collaboration with Mica Endsley, President at SA Technologies. (2007-2008) Richard Lounsbery Foundation. PeaceMaker-Based Research for Decision Making and Diplomacy. In collaboration with Kiron Skinner, Associate Professor of Social and Decision Sciences and History & Laurie Eisenberg, Associate Teaching Professor of History at Carnegie Mellon University. (2008) Argonne National Laboratory. Determinants of Public Confidence in Government to Prevent Terrorism. In collaboration with Ignacio Martinez-Moyano and Michael Samsa of Argonne National Labs. (2005-2006) Institute for Complex Engineered Systems, Carnegie Mellon University, PITA program. 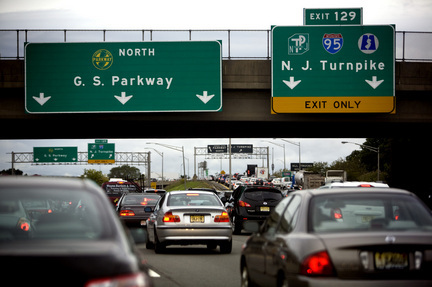 Learning from the Past: Improving Estimation of Future Construction Projects. In collaboration with Burcu Akinci, Associate Professor of Civil and Environmental Engineering at Carnegie Mellon University. (2002-2006) National Institute of Mental Health, training grant. Training in Combined Computational and Behavioral Approaches to Cognition. In collaboration with Lynne Reder, Professor of Psychology and Director of Memory Lab at Carnegie Mellon University. (2001-2006) U.S. Army Research Laboratory. Cognitive Process Modeling and Measurement in Dynamic Decision Making. In collaboration with Mica Endsley, President of SA Technologies. (2001-2006) Office of Naval Research, Multidisciplinary University Research Initiative. Cognitive, Biological and Computational Analyses of Automaticity in Complex Cognition. In collaboration with Marcel Just, D.O. Hebb Professor of Psychology and Co-Director of Center for Cognitive Brain Imaging (CCBI) at Carnegie Mellon University; Walter Schneider, Professor of Psychology at the University of Pittsburgh; & Poornima Madhavan, Assistant Professor of Psychology at the Old Dominion University. (2004) Office of Naval Research, Small Business Innovation Research. Automated Communication Analysis for Interactive Situation Awareness Assessment. In collaboration with Mica Endsley, President of SA Technologies & Cheryl Bolstad, Senior Research Associate at SA Technologies. (2001) Carnegie Mellon University Berkman Faculty Development Fund. Perception and Attention Effects on Learning Dynamic Decision Making Tasks. The Dynamic Decision Making Laboratory is part of the Social and Decision Sciences Department at .